We were surprised and so pleased to see Petr walk into Church on Sunday – it was like he had never been away, we were all eager to talk with him – maybe next visit he will bring all the family. Petr brought greetings from Jana, Eliska and Jana, also from his Church in Sloupnice. As well as reading the Scripture Lesson, Petr gave us an update on the family – daughter Jana was on a trip to France, Eliska is well and hoping to study Chemistry, Jana is still teaching and Petr is still a Minister!! 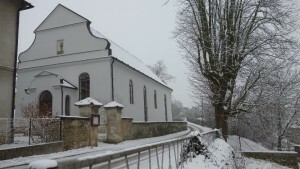 It is lovely that they keep in touch – in fact several of our congregation have been to Czech Republic to stay with the family, and shortly Pat and Denise plan to make a return visit. We were and are still, blessed with their friendship – thanks be to God. Hope it won’t be too long before we see them all again. It was lovely to receive these photos, and we send Eliska our congratulations, love and very best wishes. 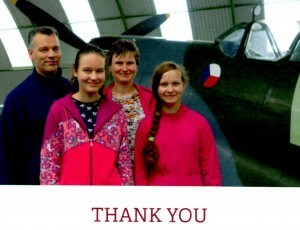 What a lovely surprise we had on 11th March, when Petr arrived back in Annan for a short visit – it was good to hear about Jana, Eliska and Jana, and their lives back in the Czech Republic. We were delighted that Petr conducted the Service – he brought with him the good wishes of his family and his Church. Petr’s Sermon can be read on this website – just click on ‘Sermons’. We still miss them all. Hopefully on the next visit they will come as a family and spend more time with us. 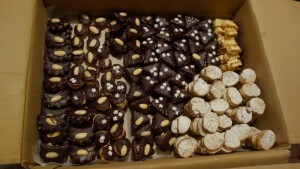 Pictures from the Peňáz Family – Christmas 2017 …… Jana is still baking those delicious biscuits!! After several weeks of excited anticipation, the Peňáz family finally arrived mid-August 2016. Petr proved to be an excellent preacher of the Gospel. We have learned much from his teachings, and it is always good to hear another person’s interpretation of God’s Word. His sermons are on this web site, and worth hearing/reading again. 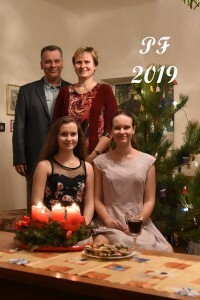 Right from the start of Petr’s ministry here, we realised his commitment, dedication and sincerity – we took the whole family to our hearts, they were all very friendly and joined in everything we did as a Church Family. Jana, Petr’s his wife was such easy company, a member of the Friendship Club, Singing Group, The Guild, Sewing Group – indeed anywhere we needed an extra pair of hands, she was there – especially at our As Nu Sales – and her scrumptious baking was much appreciated too – her recipes are very much in demand. The girls were very helpful too, and daughter Jana even played the piano in Church for the Sunday School one Sunday. Yes, they were very much part of the family of Annan Old. It was a year when they had their ups and downs too, no sooner had they got settled into the Manse when, unfortunately, Eliska their older daughter became unwell and needed a liver transplant. Praise God, she made an excellent recovery and was soon back among us. It was a time when we all shared their anxiety and that brought us all closer together. We felt their pain, and rejoiced with them when all went well. 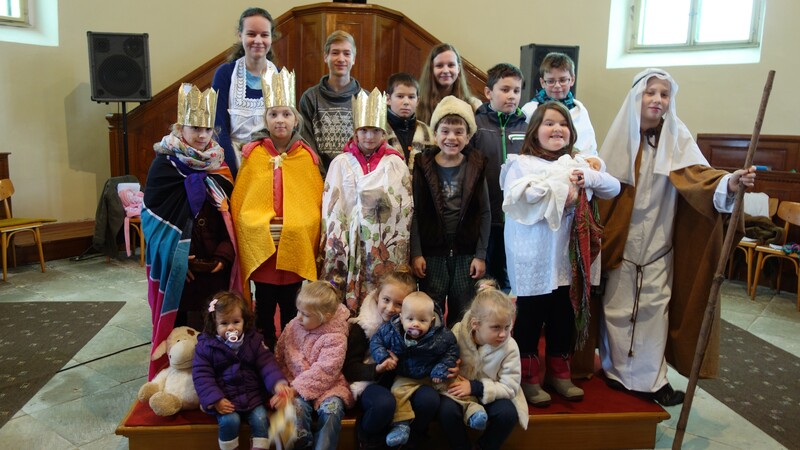 We shared all the seasons with them, learning from each other, different customs associated with the events in the Church Calendar – but always focused on the same Jesus Christ. It was good to learn about their homeland too. We hope they have also enjoyed learning something of our traditions – we’ve had a Ceilidh, Scottish Country Music, Concert, Riding of the Marches, and many events hoping to give them a flavour of our town and country. All too soon, their year in Annan was over. 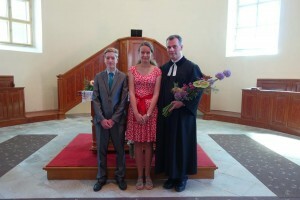 On Sunday 13th August, Petr preached his last Sermon. It was so emotional for us all, having to say goodbye. They were the recipients of many gifts, a painting with a scene to remind them of Annan, a cross made from a pew which had been removed from the Church, and other memorabilia, to show how much they were appreciated and loved by all the members. 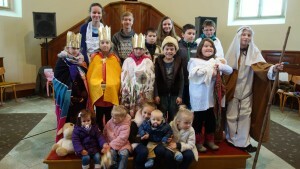 Voluntary donations were received, enabling the congregation to present them with £1000. We hope they enjoyed being with us as much as we enjoyed having them here. We will never forget this special time or these special people who have greatly enriched our lives. We wish them God’s richest blessings as they continue to serve our Lord, doing whatever He has planned for them. “One year ago we started to pack our stuff and today we collect our bits and pieces to move again. 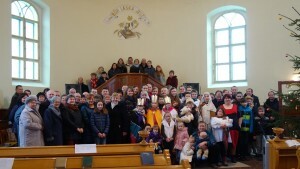 The last service in our congregation was heart-breaking and I feel that it will be the same this year. Minister’s family is on the move. Where is our home? It is not in Annan, nor in Dornock but neither in Sloupnice (our village). Our home is among God’s people, in the community of saints. And we want to say: ‘Thank you’. We felt your love when our daughter got ill, but we also had felt the same love before there was any sign of what was coming. We feel your love now. You carried our weaknesses in your prayers as did people in the Czech Republic. 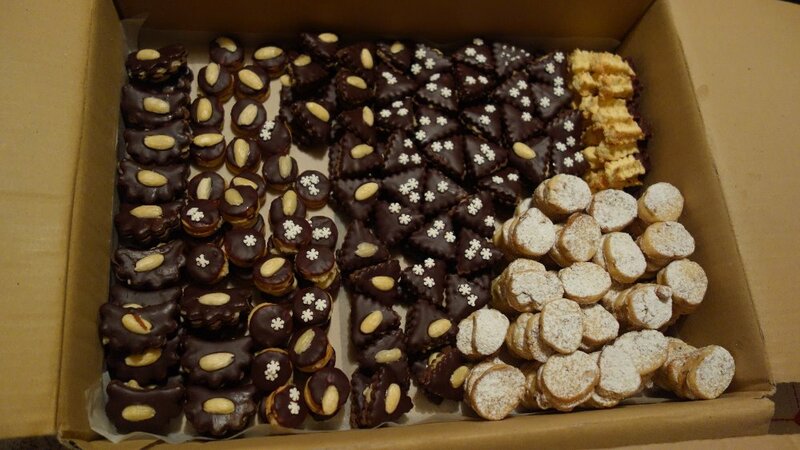 We are grateful to you and to God almighty, because we have experienced a taste of heaven. Thank you, thank you, thank you. And as we know, it is promised by God’s word to God’s people to meet again – sooner or later. Until it will happen, remember us with some humour and we will remember you with great respect, because your hands were wide open and your hearts as well. In your actions we saw Jesus himself. Thank you and God bless”. In April the World Mission Council contacted various vacant charges to say that a Minister from the Czech Republic had expressed an interest in coming to Scotland for a year. This was discussed by a joint meeting of Annan Old and Dornock Kirk Sessions and it was agreed to express an interest. A Parish Profile was sent to Edinburgh and we heard no more until nearly the end of June when we were told that Petr Peňáz was interested in coming to Annan Old and Dornock. He visited the parishes between the 4th and 7th July. While he was here he visited the Churches and the Manse, and at a joint informal meeting he gave a short presentation about himself and had a chance to meet Elders of both Kirk Sessions and members of the Nominating Committee. Kirk Sessions had then to meet to decide if they wished to invite Petr to be our Minister for one year. Both Kirk Sessions met on 10th July and agreed unanimously to invite Petr to be our Minister for one year. Petr had told us before he left that he would like to come and be our Minister for a year. During his year here we will not be a vacancy and cannot look for a Minister. 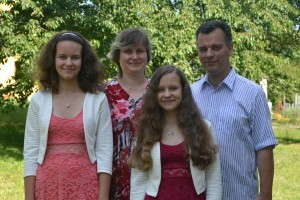 Petr and his family – wife Jana and daughters Eliska (13) and Jana (12) will be staying in the Manse and are looking forward to being part of our community. They hope to be here mid to late August, but details will be given when we know more.